First impressions count and last longer than we would like them to at times. The outside – especially the driveway – of your home is one of the first areas that others see when visiting your home. Whether it’s tar, cement or bricks covering your driveway, make sure the area is attractive and well-maintained. 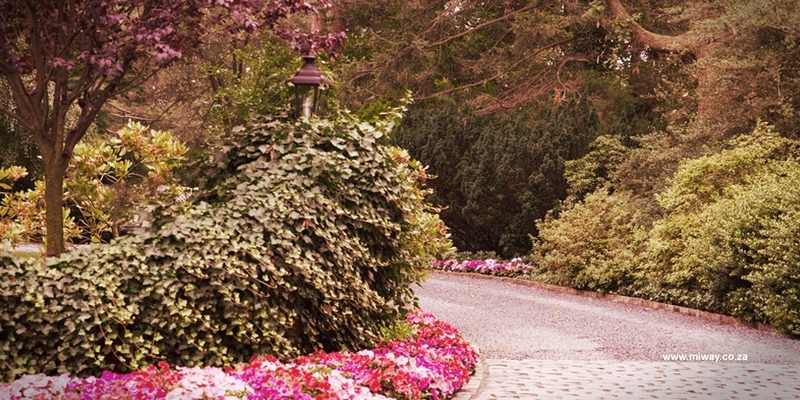 Proper driveway maintenance is actually simple and worth the effort. Get cleaning. Cleaning your driveway regularly not only makes the curb (and your home) attractive, it saves you in the long run, as you pick the niggles up before they become a greater problem. Sweep up the leaves and use a pressure cleaner to spray it clean. For those stubborn stains, pour absorbent material (like cat litter) and let it dry over the stain before scrubbing with a regular scrubbing brush and eco-friendly cleaning products. Get repairing. A small crack may seem like the least of your worries, but if left unattended for too long, it will become a bigger part of your problems. Unattended cracks can lead to other smaller issues that can cause even further damage to your driveway. Make sure you use the right sealer and primer treatment for your type of driveway. Protect the edges. Contrary to popular belief, your driveway can actually only take a certain amount of weight… so avoiding heavy loads on your driveway will certainly protect it. Heavy loads put a lot of unnecessary pressure and cause avoidable damages. The edges of your driveway can be weaker than the main part, so park your car away from the edges. Tread with caution. Some seasons are tougher on property than others; during those seasons, like winter, make regular maintenance a habit to avoid dirt build up. At the beginning of each season, take the time to inspect your driveway and take care of the areas that need attention. Nipping potential problems in the bud will surely ease the stress, much like having home insurance. Get an online insurance quote and enjoy your home, your way!